Putting my window in tomorrow and I know you are working on yours too. Are you going to use any kind of adhesive or sealant between the window and the frame? I want to be sure to have it leak proof for sure. You have any thoughts? By the way the truck is looking great. Be cookin in no time. I'm not going to have a true glass window. I am going to have an open window with awning like the wafles and dinges truck pictured below. I will have maybe a 1ft wide tinted plexi glass window on each side of the open frame just to break up the open space. The fold down awning will have a weather strip around the edges to seal from the elements when closed as well as a lock. Be sure to post some pictures of your window before and after install. Couple questions for you. 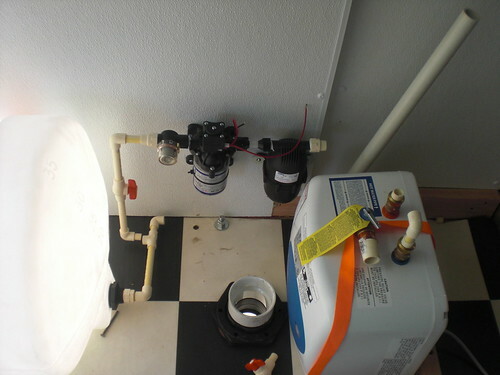 Where did you get your hardware (and what are they called) that you used to mount your grey water underneath? Also, where did you get your aluminum window trim? Looks good buddy! Thanks in advance. I purchased some 1 inch steel square tubing from Home Depot and 1/2 threaded rod and some nuts to bolt the grey water tank underneath the truck. The drain into the tank is a 3" bulkhead fitting that I ordered from a pond supply place online and it was not cheap. I had to cut a 5" hole in the top of the tank just to get the bulkheads in, in addition to the 3" holes for the bulkheads. I than resealed the 5" hole. I buy my aluminum from www.orangealuminum.com. The one point I haven't been able to visualize is the "awning". How are you going to attach that? Piano hinge? And have you found the pistons for that yet? Yes, piano hinge and there are plenty of door close air pistons on Amazon.com. Started piping up my tank but I am waiting on my 1/2" one way valves and 3" back flow preventer before moving on. Than I will put up the sink frame and plumb in the fixtures. man i do love that style of water tank, where did ya get it ? I purchased the tank on Amazon.com. Where did you get the black water drain fitting for your grey water tank? Sorry, I replied with the wrong item. You mean the 3" bulk head fitting. This is what you should be using for a dump valve. 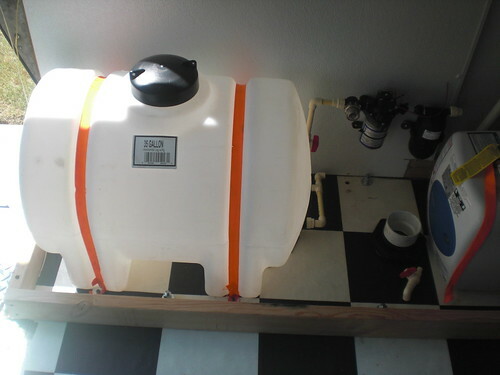 I to am converting a "fresh" water tank into a "grey" water tank. Looking for the best way to add the bulk head fitting and incorporating a dump valve. It looks like the combination of these two pieces should work fine. Agree? 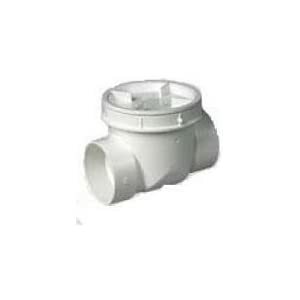 I have the very same dump valve, I just have not taken a picture with it on. I am out of town on business but I will post a picture of the installed valve when I return home. My grey water tank is actually meant to be a fresh water tank. As you can see in the pics I posted, I bolted the grey water tank underneath the truck and drilled a 3" hole right through the floor into the tank. The bulkhead is long enough to fit inside the tank and up through the floor so that it can be tightened/bolted to the floor as I have done. The only problem I had is that with the supplied 3/8 rubber gasket on the bulkhead there was not enough exposed tread to fit on the plastic nut so I removed the gasket. Since the water is flowing down and I do not need a good seal here, it is not a big deal. The other issue I had is that in order to get the huge bulkhead into the tank and fit through the 3" hole from the inside I had to cut a 5" hole than patch it back closed. Are you planning on building your own awning/catering door or are you gonna buy one like this? Loving what you are doing by showing us this! My truck is EXACTLY like your truck only a year younger! I put a link to a site, but the admin blocked it. I am building my awning. I was anxious to get my plumbing squared away so I stopped what I was doing on my window but I will pick it back up once I get a chance. Glad your enjoying the pictures. I have searched and searched for detailed interior and design information about building food trucks online but nothing really detailed so I decided I would post all of my progress to help others. The only thing I am not sure about is my electric needs but I will get an equipment list together and determine my needs and post what type of system I plan on using. Also, I am not sure how to strip the paint on the truck to get it prepared for paint but I will probably just have the paint shop do all the prep and paint as that type of tedious work is not my thing, I'm too impatient. You might want to look into a wrap. It is a way to get a GREAT branding, but it tends to be cheaper then the paint job. Most I have seen have been between $3k and $5K. You could do a solid color wrap yourself for under $500 too! Heat gun and some plastic or silicon scrappers. [tube]http://www.youtube.com/user/montroysupply#p/u/7/G4PUD4icWaM[/tube] Here is a video that shows the technique. They have several great learning tool! How did you patch your 5" hole? Post pics when you get a chance. I am planning on doing the exact same thing, I just havent worked out all of the details yet. Did you use 2 of the 3" bulk head fittings? One for the inlet and one for the drain hole? Yes, I used 2 3" bulkheads, on for inlet and one for outlet. I did not cut the 5" hole all the way, I left a about an inch attached so I could glue the hole **** without the cutout piece falling into the tank as it dried. I used epoxy to glue the plastic than put a thin layer of silicone sealant over it. You just glued it back together with out a backing or additional material to cover the seam? Thanks for the info. Yup. I cut the hole on top of the tank which is now pressed up against the bottom of the truck. I put a layer of silicone over the seams after I glued, I think things will hold and I do not expect the water level in the grey tank to get that high anyway. My plan is to wrap the truck but only the back and sides. I still want to have the truck painted the a solid base color. The current paint is flat and chipped, etc. I also have dents that need to be taken out and filled. I am looking into having the body work done but an independent off of craigslist. Someone that will come out to the house and do the body and priming work before I take the truck to the paint shop. Than I will send my graphic design to this company from Ebay that is selling a 10x17ft flat fee wrap for $500. I figure I'd buy a wrap for each side and than just a vinyl of my logo and maybe some letters to cover the back and front of the truck. Than the wrap will only cost me around 1500 versus 3-7K. Hey Maurice, do you have a link to that Ebay Store?